One of the easiest and healthiest desserts to make in a jiffy, nothing quite says, “summer” like fruit salad. Granted, there’s not much more to a fruit salad then, well, throwing some fruit in a bowl —but who says the magic has to stop there? 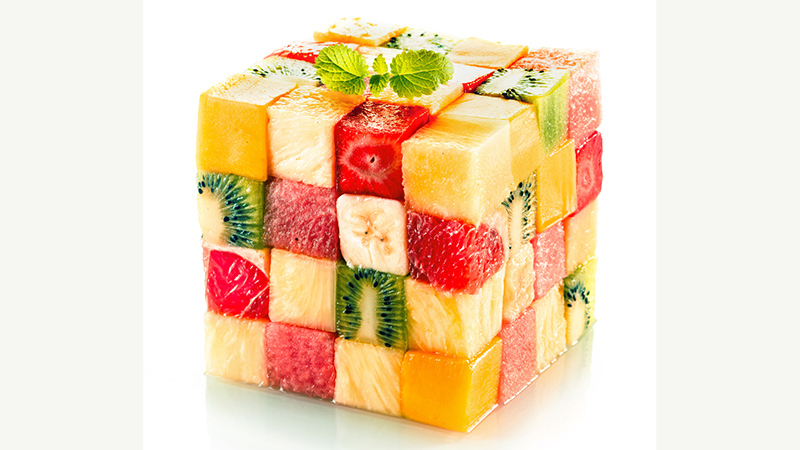 If you’re bored with basic honeydew-cubes, fear not: There are plenty of ways to make your fruit salad more festive. Get inspired with some of our tips below to take your salads from blah to brilliant. Sometimes, all a good fruit salad needs is a good splash of colour to make it enticing. 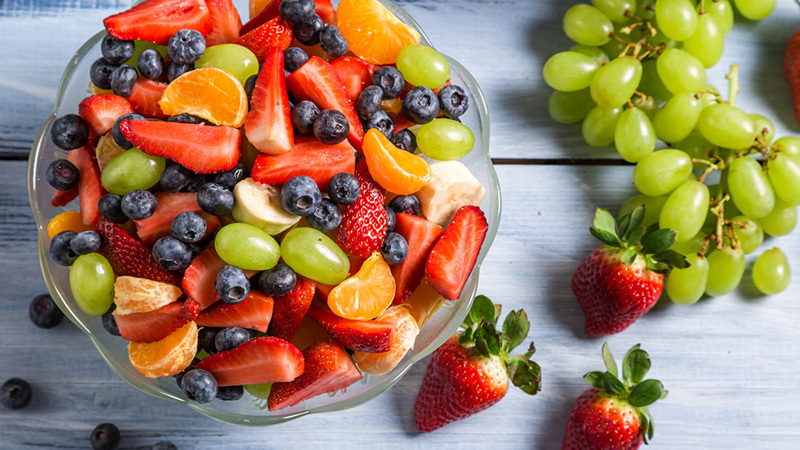 Mix in those greens, blues, and reds to really make your fruit salad pop and excite your peepers. You can even coordinate your colours in a playful rainbow-patterned maison jar, like the one above. The possibilities are endless. You played with shapes as a kid, so why not incorporate some of that whimsy into your meals? Make stars, blocks, circles, or even animal shapes to have fun with your salads (and impress your guests). Yes we know, it’s a fruit salad, but that doesn’t mean fruit is has to be the only ingredients. 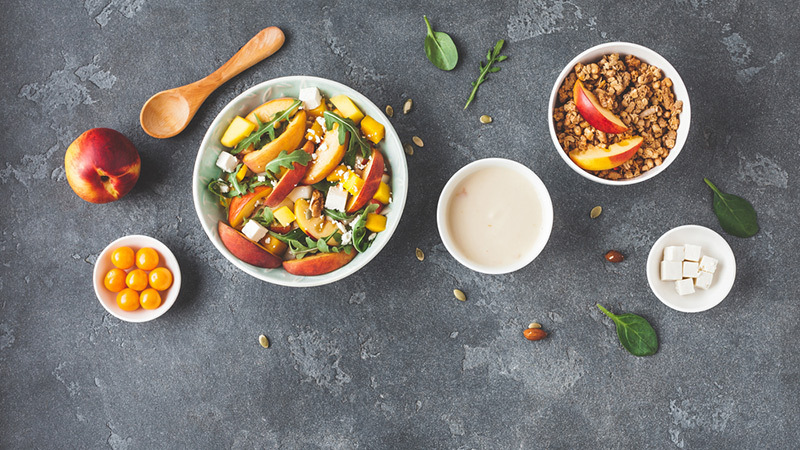 Yogurt, custard, whipped cream, granola, Nutella, nuts and even honey to give your salad diverse textures and flavours that elevate it to a whole other level. 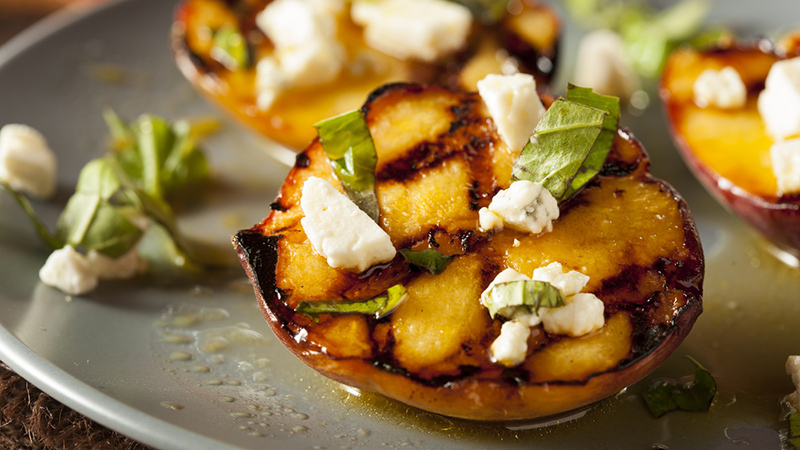 You read it right – grill your fruit. Grilling can do wonders for the visual aspect of your dessert, and it helps stimulate your tastebuds as well. Grilling also allows the fruit to soften and brings out the fruit’s natural sweetness. 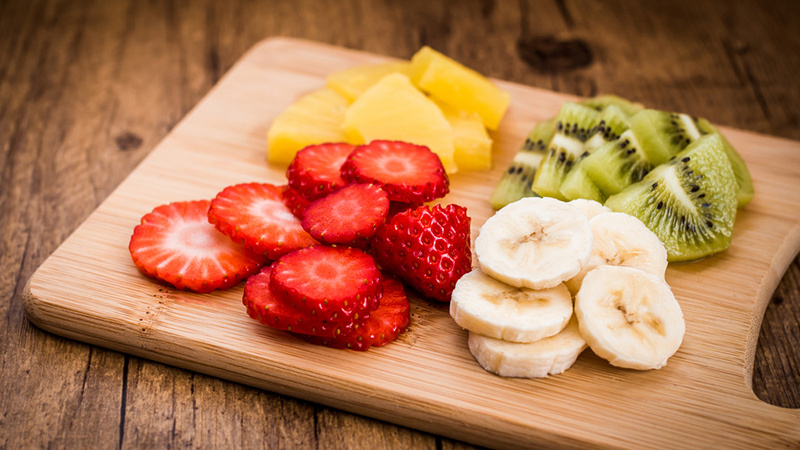 Some of the best fruits to grill include pineapple, peaches, mango and even watermelon. Another simple way to make your fruit salad snazzy is to go with a theme. Whether it be tropical, “very berry,” or even red-and-white (for Canada Day, eh?) 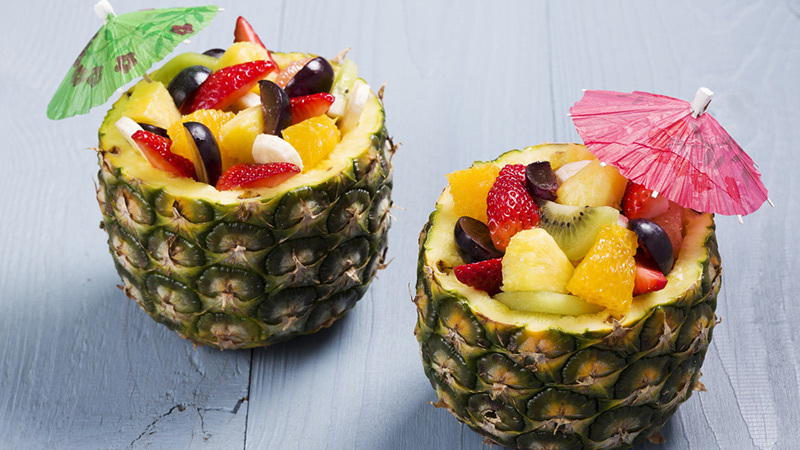 a theme can help boost the fun factor of your fruit salad. Who says you have to serve your salad in a plain old bowl? 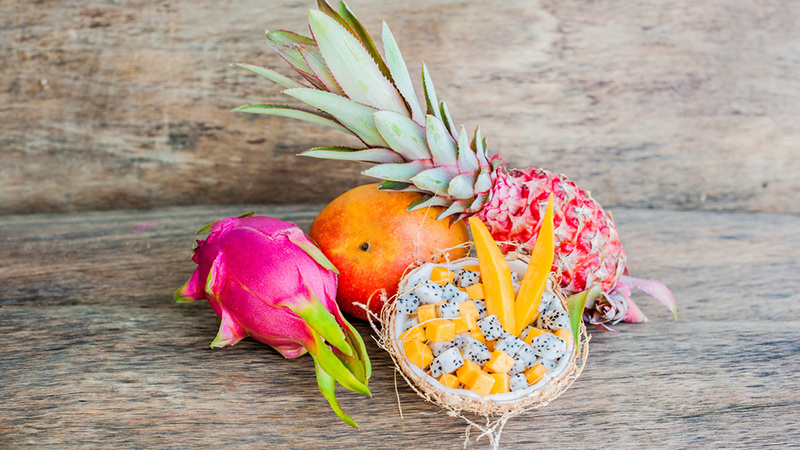 Grab a fancy dish, mason jars or even champagne glasses for a fun twist on your standard fruit bowl. Want to go the extra mile? Use the emptied out rind of a large fruit like watermelon, cantaloupe or pineapple to serve as a bowl. The Spanish were onto something with Sangria; fruit and booze just seem to go together, especially int he summer. 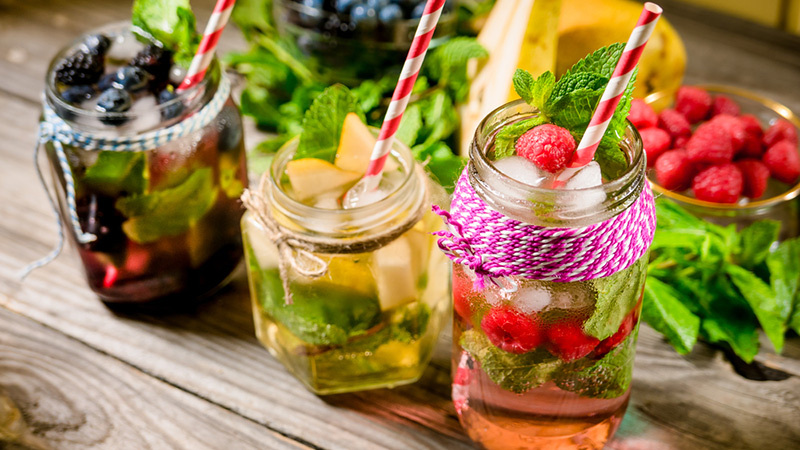 Enjoy your fruit with rum, vodka, cognac – the choice is yours. Just make sure to save this one for your more mature get-togethers. Don’t stress yourself out trying to make the perfect fruit salad. Instead, why not let your guests serve themselves? Setting all the fruit out buffet-style lets the guests have control of what they want in the salad, while also saving you a little bit of time and energy. Just let the guests dig in as they please. This one is definitely for the kiddies (but not exclusively!). 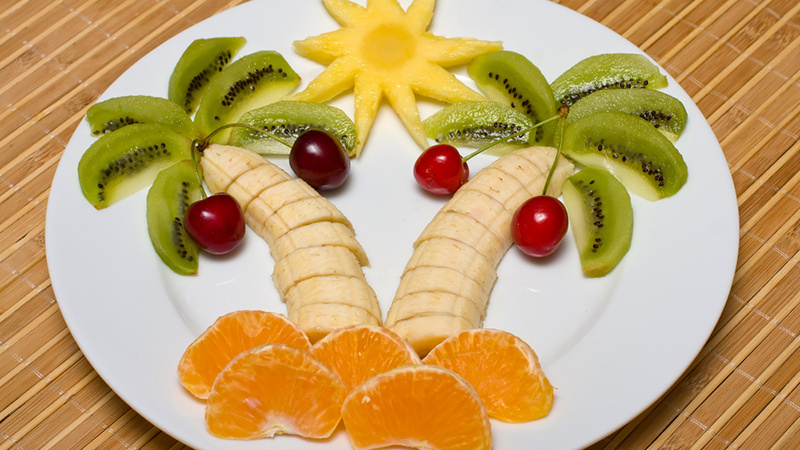 If you’re the artistic type, put your creative skills to good use by creating a beautiful fruit painting on your plate. Banana palm trees with kiwi leaves is just one way to go about it – check Pinterest for even more beautiful fruit salad art inspiration. We know what you’re thinking: “It’s a fruit salad – why are you talking about vegetables?” but bear with us. Incorporating fruit-friendly ingredients like avocado or tomato (which, technically, is a fruit) can bring out new and exciting flavour combinations you’d never tried before. 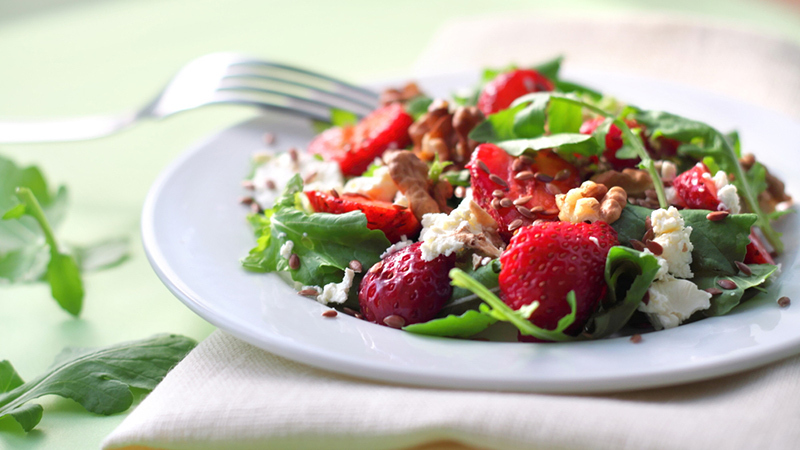 Additonally, you can simply enhance your typical lunchtime salad with mandarins, sliced strawberries, pineapple or more.